JBL Endurance RUN is rated 4.0 out of 5 by 20. Rated 5 out of 5 by ENRY from Great Sound I just recently purchased these set of earmates and they sound and feel great. I had purchase other kinds (not so good) with the purpose of finding a product that can perform well while I run and these are perfect for me. They are comfortable, the sound is excellent and they stay put all my 6 miles run. One thing that I would like to mention is that I place the cord inside my shirt to keep the cord from hitting my chest that can be a distraction during the run however, these are good quality earmates. Rated 5 out of 5 by Cleveland from Bass reproduction like no other There earbuds not only lock into my ears better than any other but they have the richness of mids and lows that JBL is known for. Great product at a great price. Rated 5 out of 5 by SpencerK721 from Great Headphones I've had these headphones for about three weeks now. It's been so long since I've had a set of wired ear buds and I can say these are amazing. They sound great, loud, comfortable, and the magnetic feature is useful. Rated 5 out of 5 by IJORRIN from AWESOME Ok time for the real truth. I looked at this earbud for $19.95 and told myself (another ones) ladies, gentlemen, everybody. THIS EARBUDS ARE WAY MORE THAN PHENOMENAL, OH MY GOD WHAT A GOOD SOUND QUALITY, I COULD NOT BELIEVE IT, YOU CAN HEAR EVERYTHING, EVERY INSTRUMENT IN THE SONG, BASS SOUND SO GREAT, IM VERY PICKY WHEN IT COMES TO SOUNDS, I CAN HEAR ANY INSTRUMENT BY ITSELF IN A SONG, AND THIS EARBUDS ALLOWS ME DOING THAT, PEOPLE PLEASE BUY THIS, WAIT, BUY MILLIONS OF THIS FOR REAL. It's available in Australia from JB Hifi and Big W among other stores. 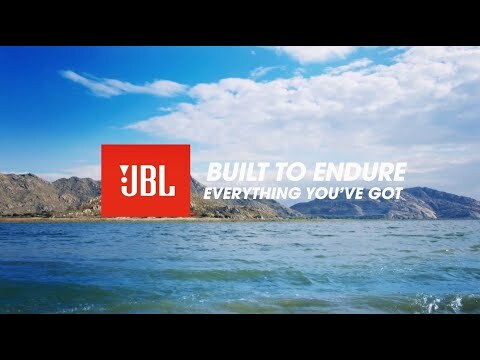 What is the &quot;JBL signiture sound with Pure Bass&quot; , as stated with the Inspire models, but not the Endurance series? The &quot;JBL Signature with Pure Bass&quot; headphones focuses more on the bass levels, making you hear a more bassy sound. The Endurance series does not have this feature so you'll hear equal levels of bass and treble. No these aren't bundled with phones, I believe you may be looking for the &quot;Tuned by AKG&quot; Samsung earphones which are Samsung model number EO-IG955. Watch out for fakes of those, the real ones tend to be around $40 or more. Why are both ear phones labelled with an R and an L, which side is which? The gimmick is these can be worn over your ear with the cable going up, but when doing so they go on opposite ears. You should always go by the bottom L/R marking, not top. That way, when you have them with the cable going up, the other marking becomes the bottom one. Another way to remember is that the marking you want will have the letter (L or R) up the right way. Yes-you are able to control the tracks. To pause/play press the center button for 1 second. To skip tracks forward press and hold the volume+ button for 2-3 seconds. To skip track backwards press and hold the volume - button for 2-3 seconds. Do these ear buds have rubber or latex on them? Is it silicone? Hello! The Endurance Run is made from silicone rubber as we do not feature latex in our ear buds.